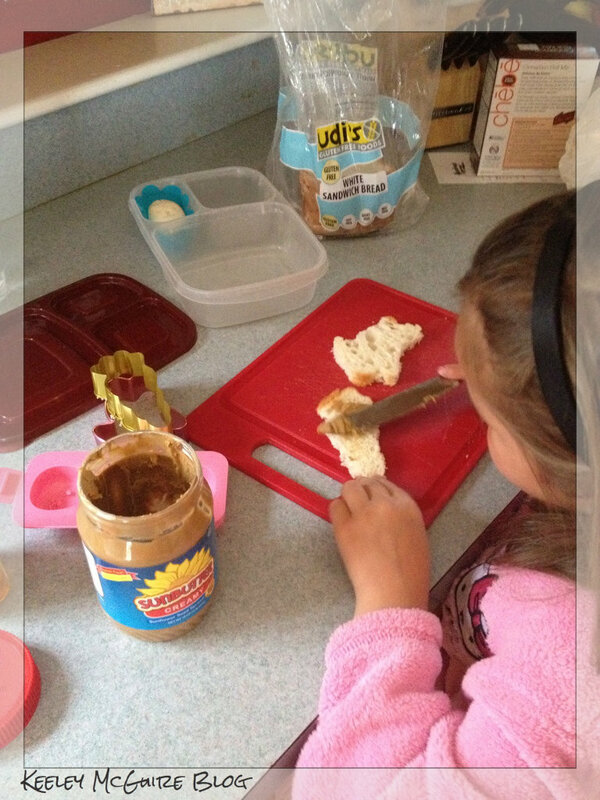 Gluten Free & Allergy Friendly: Lunch Made Easy: Last Full Day ~ Lunch by Little Miss! Lunch Made Easy: Last Full Day ~ Lunch by Little Miss! 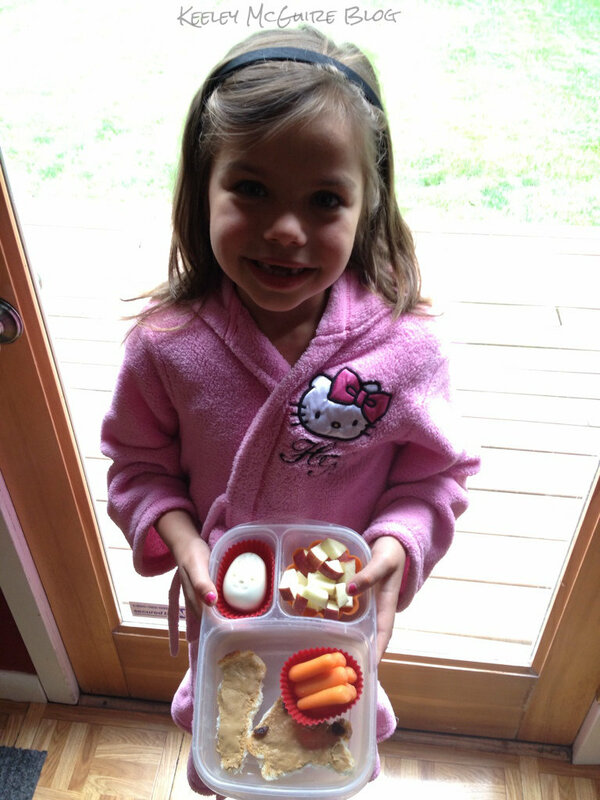 She decided for her last lunch at school as a first grader, she wanted to make it herself. How could I refuse such a sweet request!? So she made lunch while I cleaned up dinner. She carefully cut them out and spread SunButter over each slice of Udi's bread. Then decorated the bunny with raisins for his eyes, ear, and tail. She flip-flopped which silicone cups to use for the bunny and carrots at least four times. LOL, but in the end chose the red cups because they matched her EasyLunchBoxes lid. Lastly, there are dices of apple (which i helped her cut up since she's not allowed to use the sharp knives). OMGosh! I just want to squeeze Little Miss Cuteness! Such a big girl! Great job, Little Miss! Way to go, Mom! And Little Miss. One of the greatest (and toughest) things to teach kiddos is independence. I'm impressed you're doing so...in so many ways. Congrats on making it through another school year. And Happy Summer! Loving following you. Adorable! What a great lunch. Reminds me of my daughter's favorite, almond butter and banana stars. 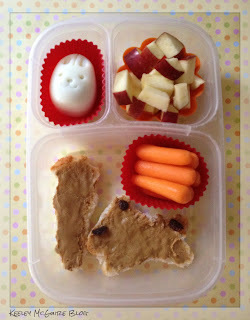 More Little MIss awesomeness <3 Thanks for coming to my Bento Kids Link Party!